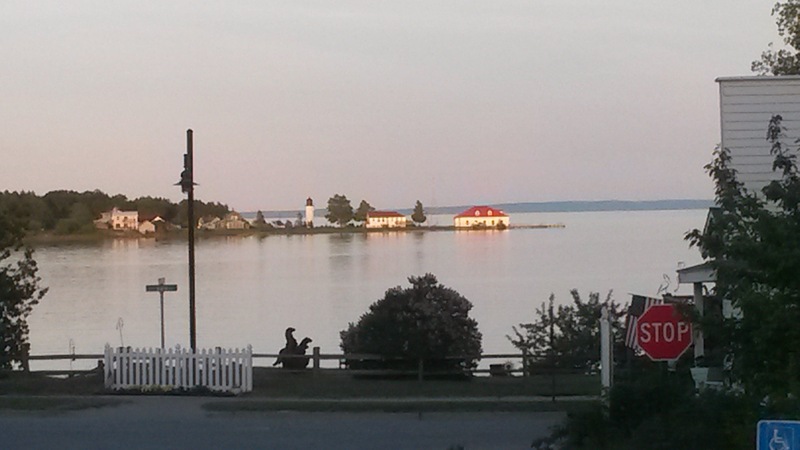 View across St James Harbor towards the lighthouse last night after dinner at Daddy Frank’s Diner. They had the best strawberry milkshake I can ever remember. 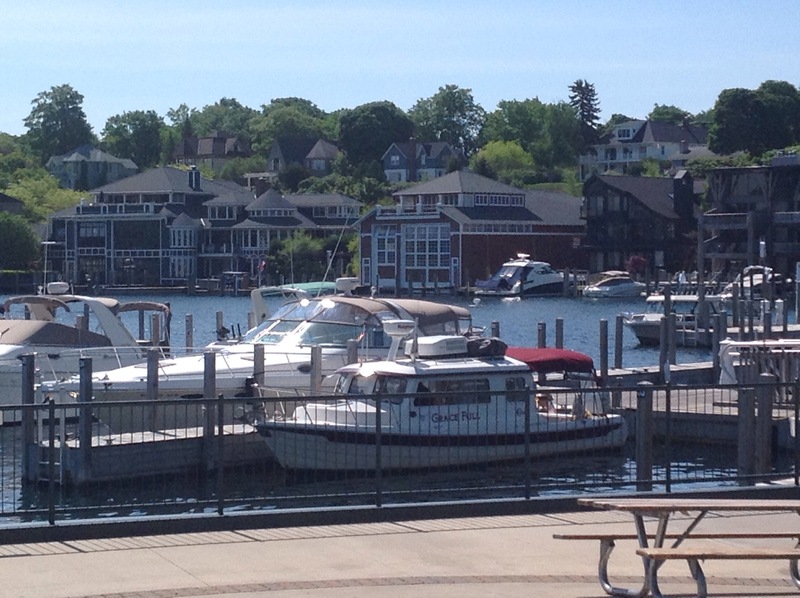 Charlevoix is stunning, maybe Michigan’s version of Monte Carlo or Newport RI, would be appropriate. Some serious wealth here judging from the boats and boatsheds. Additionally this city caters for our high brow culinary needs. We have found that by getting foot long BMT subways we can feed ourselves for $4.50 a meal, 6 inches for lunch and the other half for dinner. 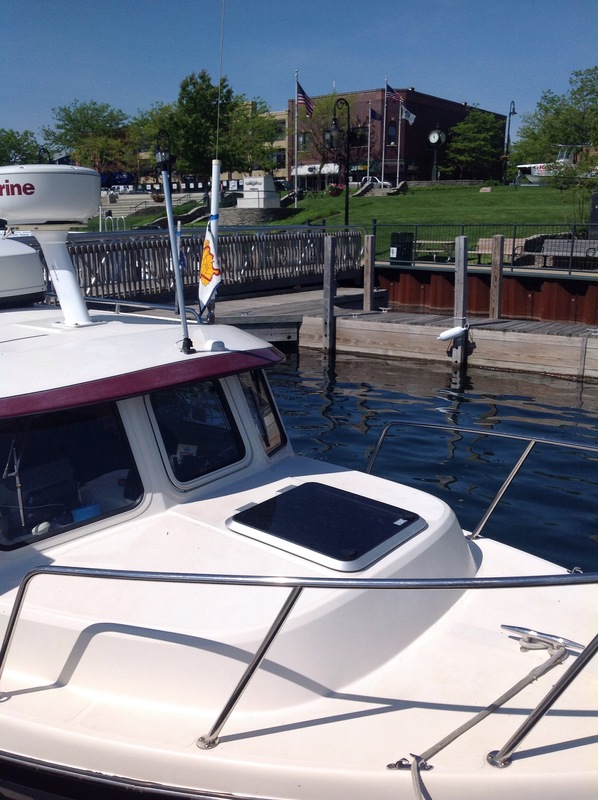 Charlevoix has a Subway two hundred meters from our dock. You just have to love this place. 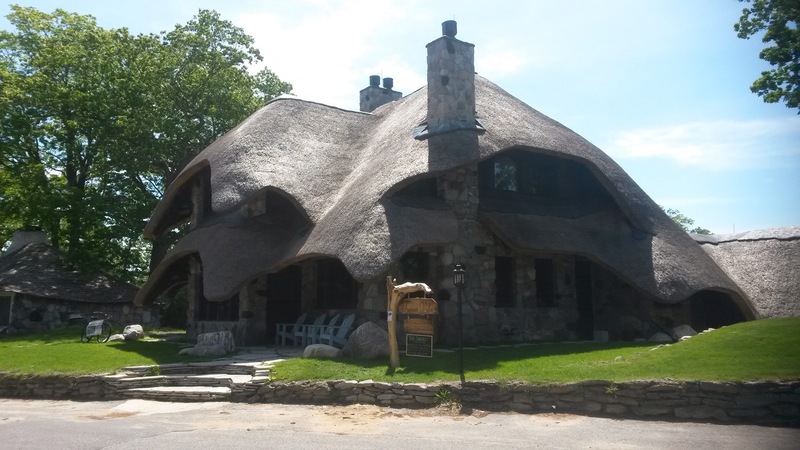 The other thing that Charlevoix is famous for is its mushroom houses built by local architect Earl Young in the early 1900s. So quaint and quite a tourist attraction, they occupy a whole block.